Diamonds come in about 10 different shapes: round, princess, emerald, asscher, cushion, radiant, pear, oval, marquise and heart. Have a look at different jewellery designs for a better idea on which shape to go with. Carat weight is the highest price determining factor within the 4 C’s which is why you should compare this to your budget. Also understanding that the price per carat rises as the carat weight increases is rather beneficial. Diamonds are split up into five different categories: colourless (D-F), near colourless (G-J), faint (K-M), very light (N-R) and light (S-Z). It is advantageous to go with a near colourless stone as this enables you to purchase a larger diamond at great value. Clarity refers to the absence of inclusions within a diamond which are usually microscopic flaws. To ensure that a diamond is free of eye-visible inclusions it is advisable to go with a clarity grade of VS2 or higher. An ideal or excellent cut diamond has perfect proportions, symmetry and polish, and appears larger than poorly cut diamonds with the same carat weight due to its wider top diameter. For a more brilliant shine and larger face, it is important not to oversee this element. 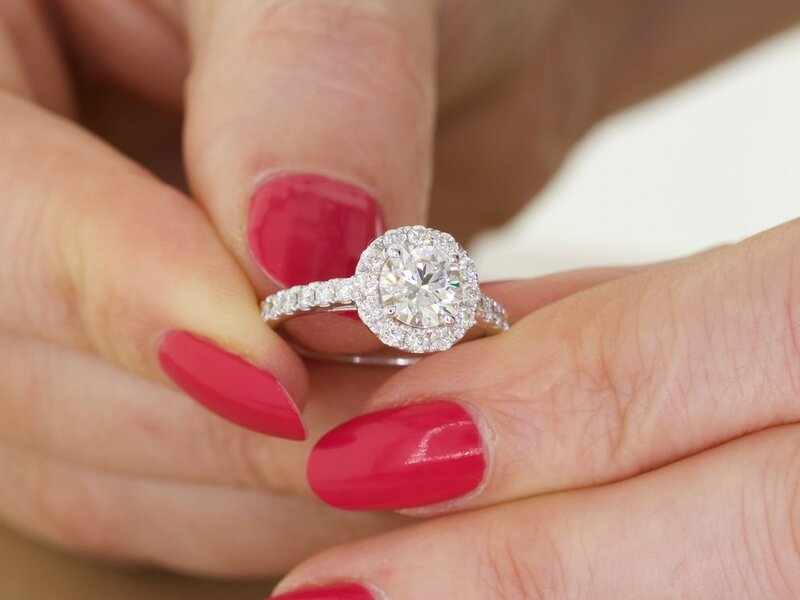 Whether you’re buying an engagement ring, stud earrings or another piece of fine jewellery, in Dubai or elsewhere, it is worthwhile to educate yourself before deciding on a diamond as this process can be quite overwhelming. Certified loose diamonds are graded by recognised laboratories such as GIA, IGI and HRD which assess many different criteria. While this can be very useful to a jeweller, it may be confusing to the average consumer. Learning about the 4 C’s and understanding which factors can affect a diamond’s beauty, brilliance and value are of key importance. The below guide goes into further details and can help you in choosing the perfect diamond.